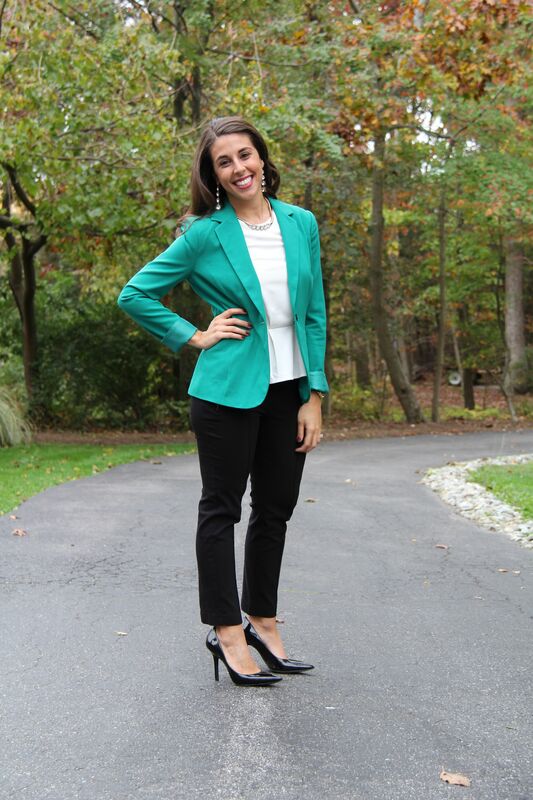 So here is the 2nd edition of my “Style Envy” segment with my beautiful cousin, Alex. Creator of the beautiful homecoming signs from yesterday’s post, she is also stylish with her wardrobe. You saw her sister, Marisa, in the first edition of “Style Envy,” and the two of them are a fabulous shopping duo. 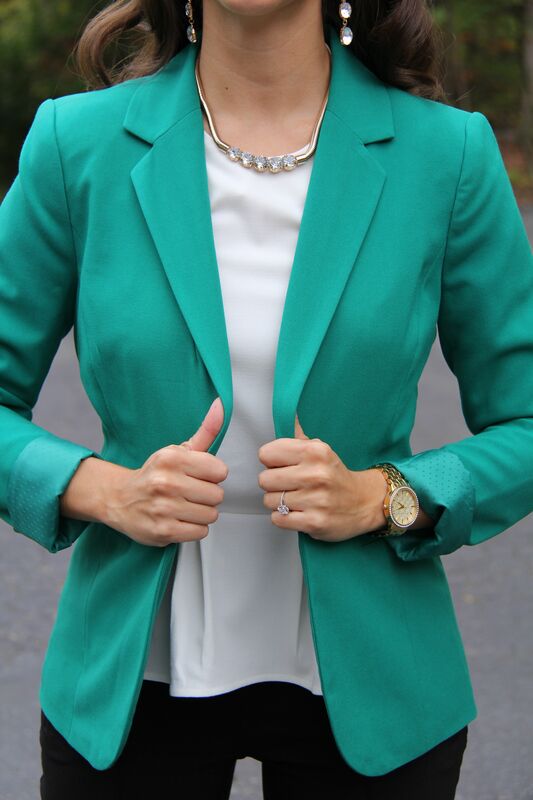 They make some of the best finds and score some of the most awesome deals, like with this stunning kelly green blazer. 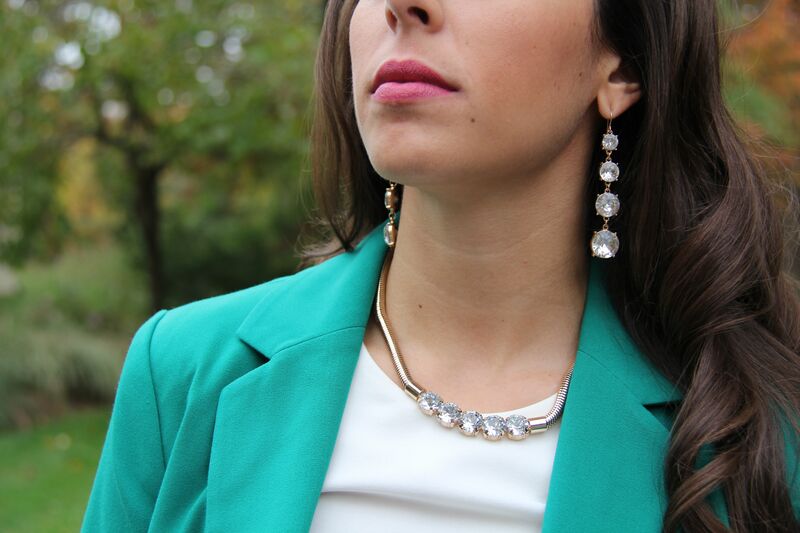 I’m clearly into colorful blazers at the moment, and this one has such a gorgeous hue; I couldn’t wait to shoot it. I think it looks especially adorable with the peek of peplum coming out from underneath.